The Freedom 251 is a 3G Android handset with a 4-inch display, a Qualcomm 1.3-GHz quad-core processor and 1 GB RAM. It was introduced a couple of weeks ago in India for the low, low price of 251 rupees (US$3.67). It sounds like a great deal for millions of people who couldn't otherwise afford a smart phone. But India MP Kirit Somaiya says he's looked into the little-known company that makes the phone and says they're Ponzi schemers. 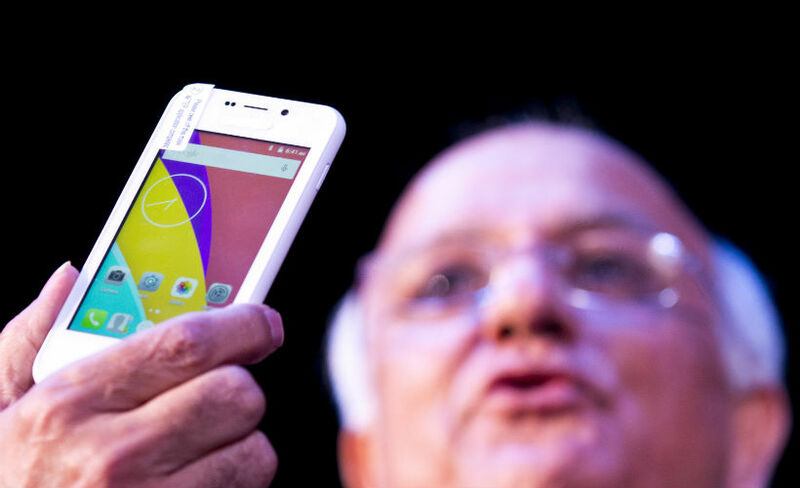 On Twitter, @Joydas posted photos of the Freedom 251, calling it a "Chinese Smartphone. Whitener used to Hide Name. Sold in garb of Narendra Modi's "Make in India" campaign."